Skate4Life is a free, family-friendly event and skateboarding competition to bring together the community to celebrate our athletes, celebrate life, and educate teens and their families on the signs and symptoms of mental illness and suicide and give them resources where they can turn in times of trouble. The 9th Annual Skate4life event will be on Saturday, May 4th, 2019 (rain date is Sunday, May 5th). It features a skateboard competition with music, food, raffle prizes, vendors, cash prizes and skate gear. Come out and help us celebrate life! A skateboard competition and open skate jam with music, food, and raffle prizes. Registered skaters will get a free meal from Olsen’s Craft Weiners, a S4L t-shirt and a wristband. All monies raised go directly to the non-profit with a percentage of monies raised going to HopeLine of NC to help fund their teen talk/textline. For more infomation about HopeLine go to their website at www.hopeline-nc.org. 3016 N. New Hope Rd. Registration for the skate competition begins at 10am followed by a brief memorial to those lost to suicide. Competitions will start at noon and continue throughout the afternoon, ending around 5pm. 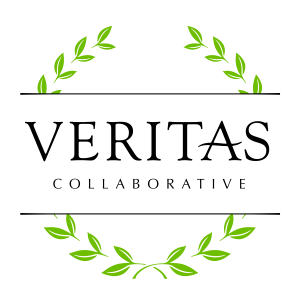 Beginner, Intermediate, Advanced and Sponsored divisions. Cash and Skate Gear prizes totaling over $2,500 will be given out to 1st through 4th place in each division. Get more info on the competition here. Want to compete in the skateboarding competition? Registration begins at 10am the day of the event. 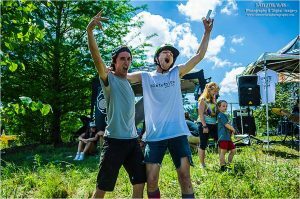 Skate4Life is a skateboarding event to bring together the community to celebrate our athletes, celebrate life, and educate teens and their families on the signs and symptoms of depression and suicide. Each year, the event is kicked off by a brief memorial to all those lost to suicide beside the park. This event was created in memory of James “Dylan” McNeill 6/4/92 – 2/1/11 and Cody Nelson Arrington 7/12/92 – 9/28/11, both of whom tragically ended their own lives. At the first event in 2011, we dedicated a memorial tree and plaque for Dylan. Cody skated and placed 2nd in the Advanced competition and designed the original logo. 8 months later, Cody also took his own life. In 2012 we planted a memorial tree and placed a plaque for Cody beside the one for Dylan. Learn more about Skate4Life, our mission, and how you can get involved! Looking to support the event? We love our sponsors and vendors! 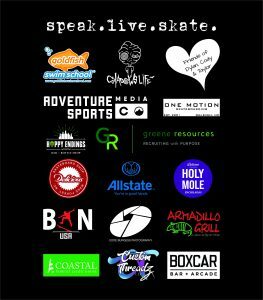 Learn more about becoming a Skate4Life sponsor or vendor at the event. Help support this year’s event by becoming a sponsor. Copyright © 2019 Skate4Life. All rights reserved.